Select the perfect 3dcart plan to suit your business and budget. All of our plans offer countless innovative features, free 24x7 Technical Support, and secure Level 1 PCI hosting – ensuring compatibility with businesses of any size or demand! Give your store a unique appearance that’s visually representative of your brand and style. Drive sales and promote trustworthiness with any of our stunning, 100+ professionally designed responsive themes, guaranteed to look awesome on any device or screen size. 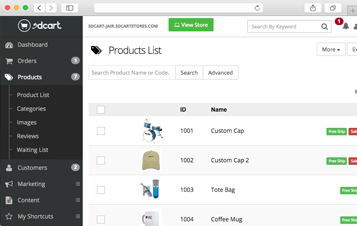 Easily upload your products and images to your admin in just minutes. Control product information such as price, weight, description, distributor, title, metatags and much more, either through your admin or a CSV import. We offer the tools you need to run your business how you see fit. 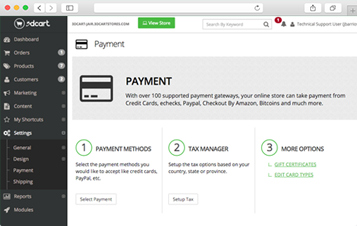 You control your tax rates, offered shipping methods (real-time shipping, free or custom), and accepted payment methods (with over 100 payment solutions to choose from)! With 3dcart, your store means your rules. 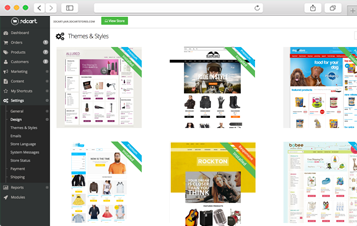 Once you’ve completed the above steps, it’s time to launch your store to shoppers worldwide. Bolster your online presence with any number of our renowned built-in marketing tools, including newsletters, promotions, coupons, reward points, or even an affiliate program. Process orders quickly and efficiently, with the ability to print shipping labels, take phone orders, process returns, and access reports right from your admin. 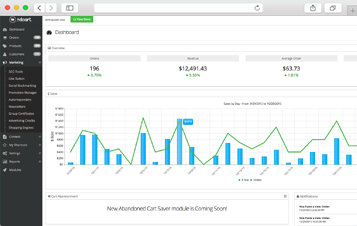 Optionally improve productivity with our built-in drop shipping support, QuickBooks integration, and countless order management tools. 3dcart uses standard HTML/CSS code in its templates, so there’s no need to learn a new language. Edit templates as you see fit, using either your browser or FTP to download templates as needed! 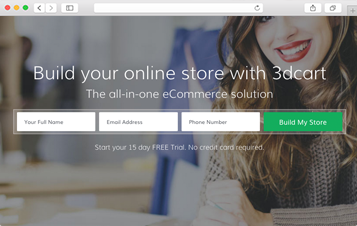 Setting up and launching your store isn't the only aspect of eCommerce that's easy with 3dcart. Gain access to countless tools that will allow you to effortlessly market your store across social media, email and blog. Offer your customers an easy checkout experience with a streamlined checkout page that's guaranteed to improve customer satisfaction and increase conversions. 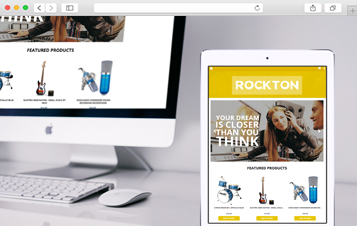 Give your customers the best shopping experience on the web.